I know it's the dead of winter in Ohio, which is exactly why I thought it would be the perfect time to share this warm September wedding with you all! 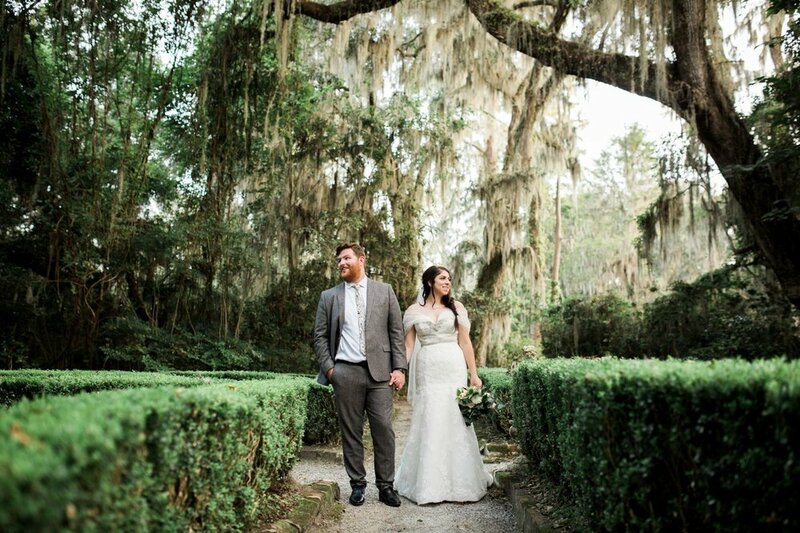 Logan and I road tripped down to Charleston, South Carolina to photograph the beautiful elopement of Cory and Deanna. When they asked us to be their photographer, it was literally a no brainer. They are fun, (and funny), have great hearts, and clearly AMAZING taste when it comes to all things weddings. 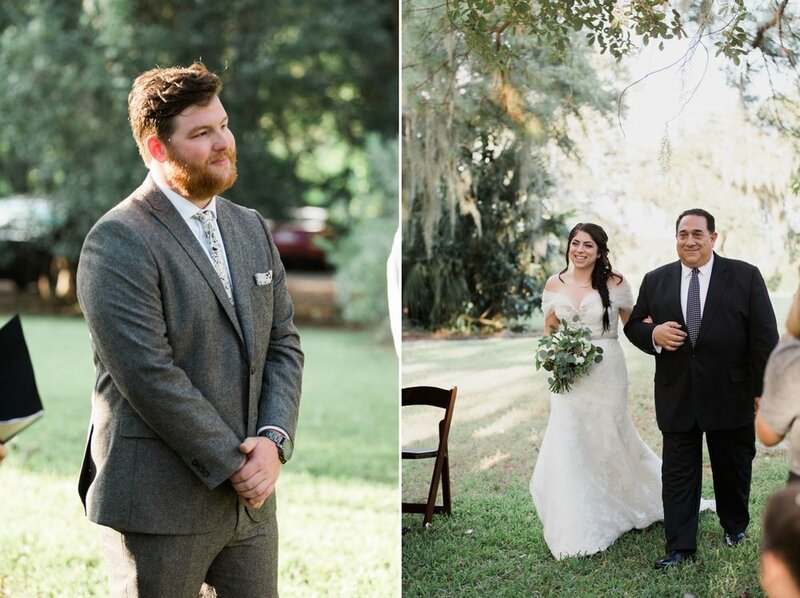 Cory and Deanna wanted to have a smaller, intimate celebration of their marriage and it truly couldn't have been more magical. 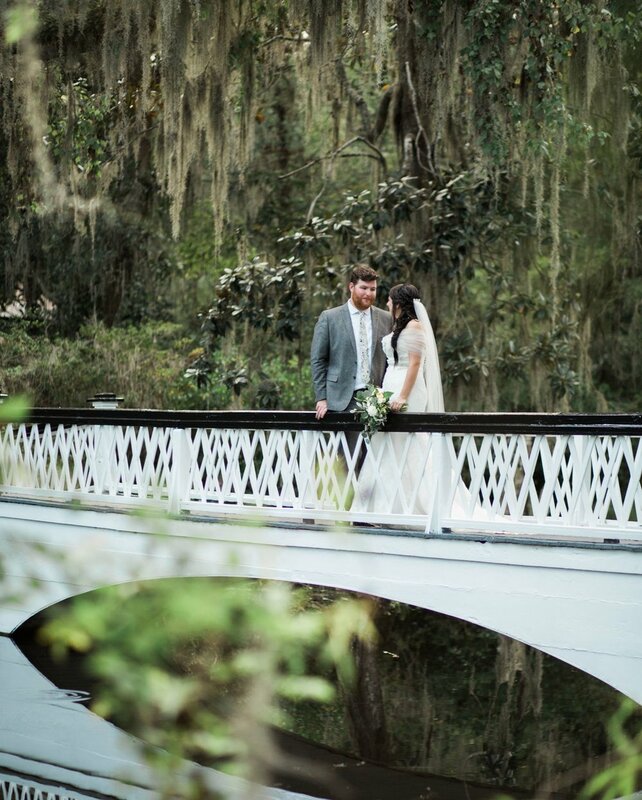 Located at the Magnolia Plantation and Garden's, where it's rooted in rich history, dating all the way back to the 1600's. 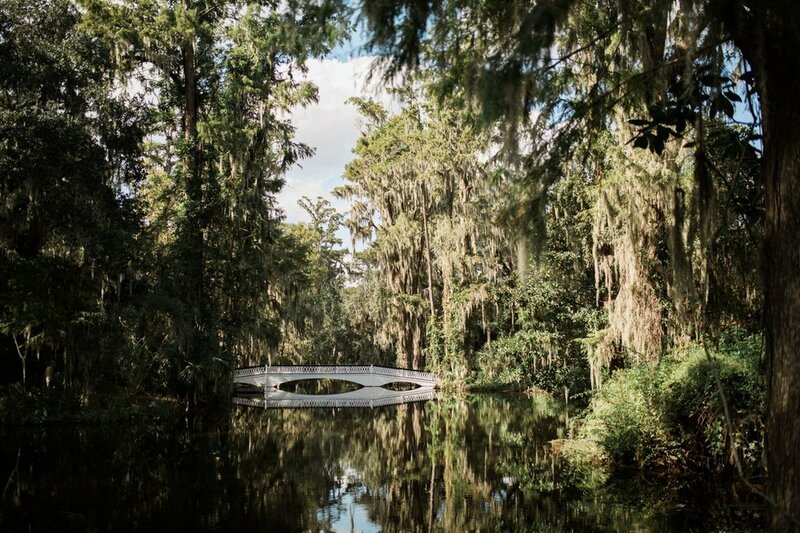 Magnolia Plantation is known as the oldest public garden and it's a sight you just have to witness with your own eyes. Logan and I have traveled for weddings in the past and we absolutely love it. Getting out of our comfort zones a little a in a brand new place/venue really stretches our creativity and fuels us as photographers. Magnolia is really any photographers dream venue, and we consider it such an honor and privilege to capture Cory and Deanna's wedding day. 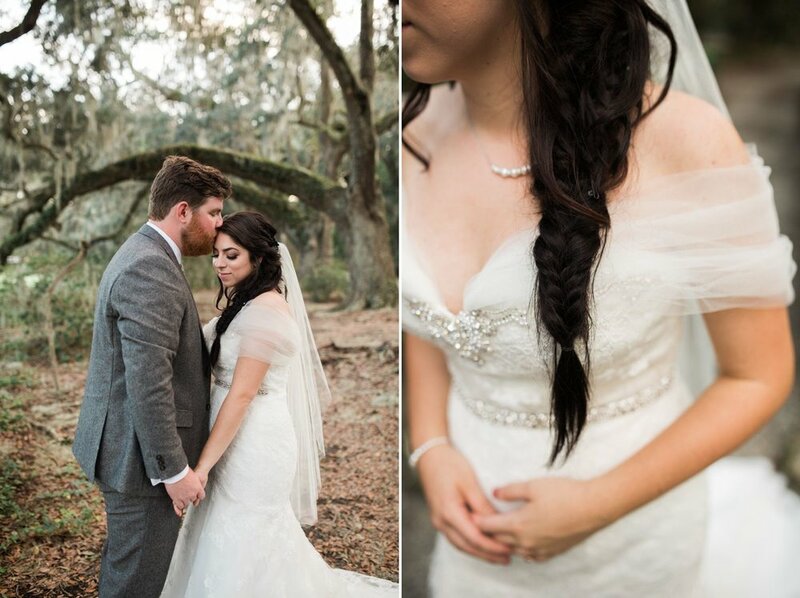 I feel like I mention that shooting weddings is an honor in most of my blog posts, I just really mean it. I am so grateful to able to create snapshots of memories made by our incredible couples. Grooms Tie: Neck and Tie Co. The girls got ready in this cute little cottage, right on the property. The entry way to the bridal suite is right where we hung Deanna's dress. I love how the moss frames her gown. I loved that Deanna gifted her ladies with lotion called "magnolia", and it smells so good! This peacock was pre-ceremony entertainment! It even helped itself to some communion bread. 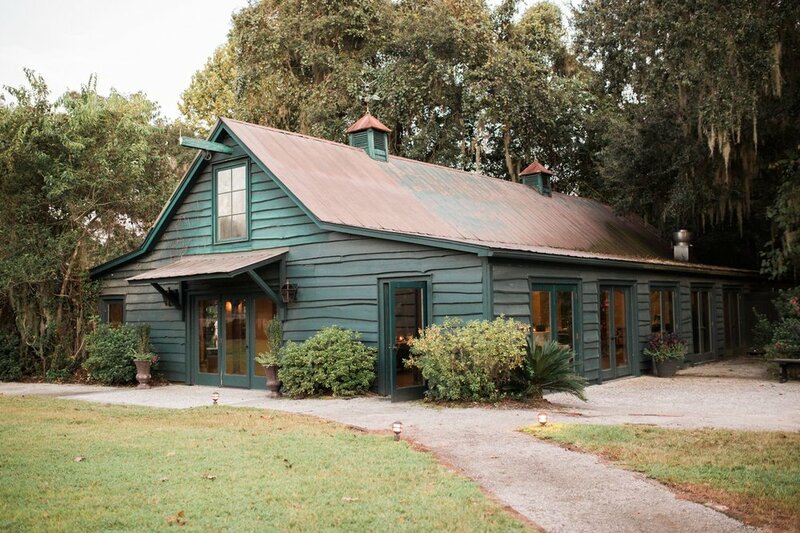 This is the Carriage House, and where the evenings celebration would take place!